Check back for additional times and places. 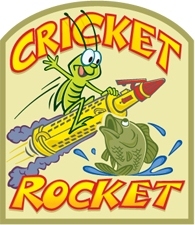 Will be doing fishing seminars and seminars on hummingbird electronics and selling and promoting the cricket rocket and representing all other sponsors. Click for a peek of Tommy working a show. ... Come see what all u will learn!